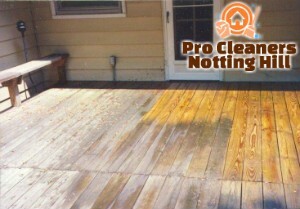 Patios and outdoor garden and house areas need proper cares and regular cleaning to be kept in good condition. You can use our patio cleaning services for your garden paths, brick, concreted and natural stone walls and floors. We offer professional jet washing which is one of the most effective ways to remove stubborn dirt and stains with the help of water and small quantity of preparations in some cases. Get in touch with our company, based in W11 Notting Hill to book the patio cleaning which we provide to property owners. You will have presentable and better looking house. Use our professional patio cleaning services in your domestic property, located in or near Notting Hill and the results will be impressive. The jet washing machines which our employees utilize are high-end and ensure complete removal of stubborn stains and grime. They work with hot or cold water under pressure which eliminate weeds, algae and moss that make patios and external walls hazardous, slippery and unattractive. The work will be carried out at a preferred by the customer day and time. Contact our customer centre to schedule a free inspection of you patio and receive a no-obligation quote. Being trained to work with jet washers, our cleaning technicians know how to restore the impeccable state of all kinds of outdoor floor and wall surfaces. 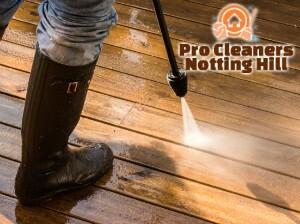 Whether it is your decking, garden path or furniture, external walls, pavements or other surfaces which you need sanitised, call us and our technicians will do the work. They have the experience and skills to implement efficient and professional removal of paint splatters, blemishes, ingrained dirt and chemical residues, moss, weeds and algae. 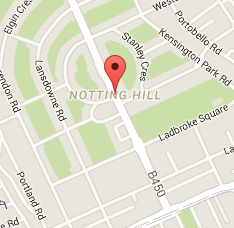 Contact us over the phone, by e-mail or by coming to W11 to reserve your patio cleaning for a suitable day and time. We will implement the work according to the customer’s demands at a suitable for both sides day and time.